This exciting new exhibition opens at BAH on Tuesday 24 July. Philip Muirden is an extraordinary and accomplished artist. Head of Foundation at Newport Art College for many years, this Pembrokeshire man continues to produce thought provoking images from observations of life and of imagination. Phil has been selected for the RA Summer Show on numerous occasions and has exhibited in many prestigious exhibitions. His paintings and drawings have found homes all over the world. 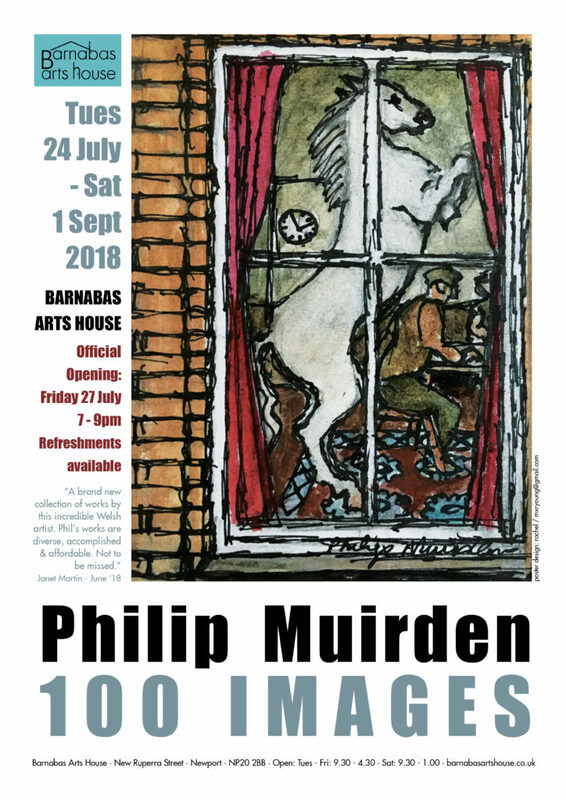 This exhibition at Barnabas Arts House offers an opportunity to view the latest 100 pieces of work to come from his studio. All are identical in size and are priced at £100 each. This unique opportunity should not be missed by any art lover or collector. Friday 27 July sees the official opening of the exhibition at the Private View from 7-9pm. All welcome & refreshments will be served. The show continues until 1 September. © 2019 Barnabas Arts House. All Rights Reserved.